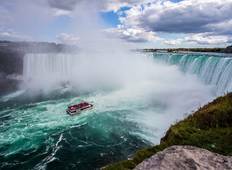 Find the best 3 week tours and trips starting from Toronto. Choose from 22 tours - we've found the most popular time to visit is in September with the most number of tour departures. "Tour was great and our tour guide Lisa was fantastic." 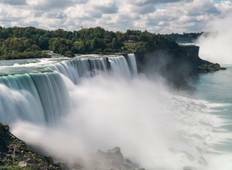 "My tour was perfect thanks to the tour director Lisa Tyner and her driver Rob Everything..."
"A very exciting trip with Trafalgar touring the West Coast of Canada and a seven..."
"Very varied trip - plenty to do at all times. Pleased with seat rotation on the coach..."
"The tour was what were looking for and more. Our guide, Peter Chobanov, and driver,..."